NASA (national aeronautics and space administration) is the united states government agency responsible for the civilian space program, as well as aeronautics and aerospace research. established in 1958 by president dwight d. eisenhower, it encourages peaceful applications in space science. space travel design encompasses the discovery and exploration of outer space, as well as its growing and evolving space technology. 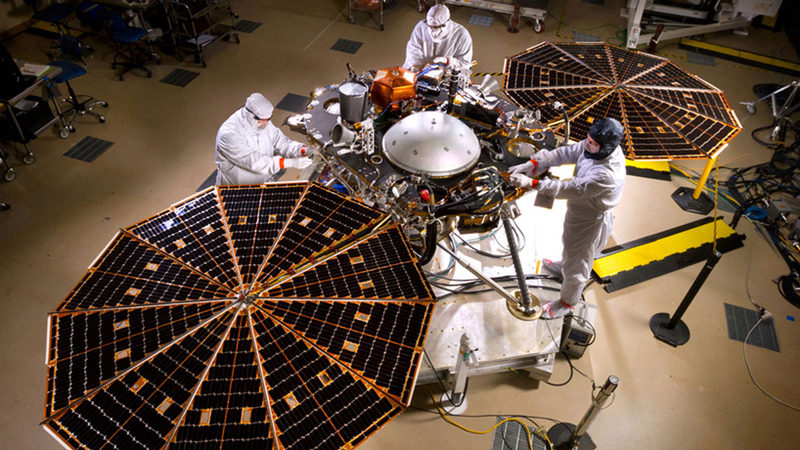 the insight lander is the first spacecraft NASA has sent to mars since the curiosity rover landed there in 2012. unlike the space agency’s rovers however, insight is designed to study an entire planet from just one spot. 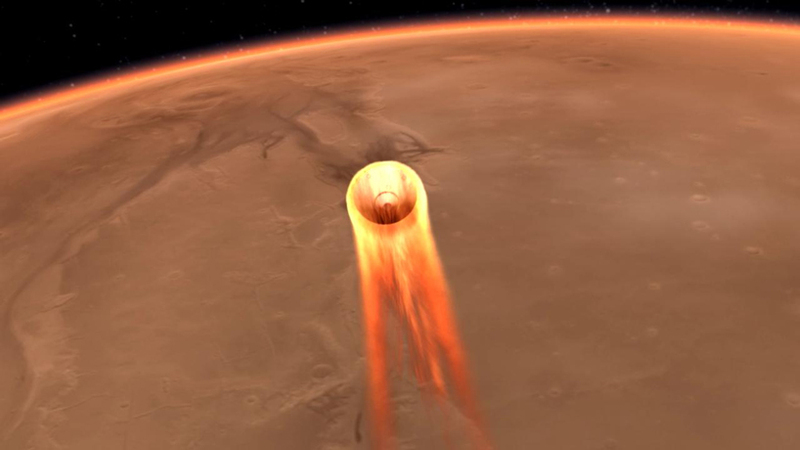 according to NASA, the insight lander will enter the martian atmosphere at 12,300 mph. it will only have about six-and-a-half minutes to slow down to about 5 mph, which it will do by performing a perfectly synchronized landing routine making use of a supersonic parachute and onboard thrusters. the spacecraft is expected to land on a flat, stable surface on the elysium planitia – a broad martian plain with few rocks or boulders – at 7.52PM GMT (2.53PM EST) on monday. 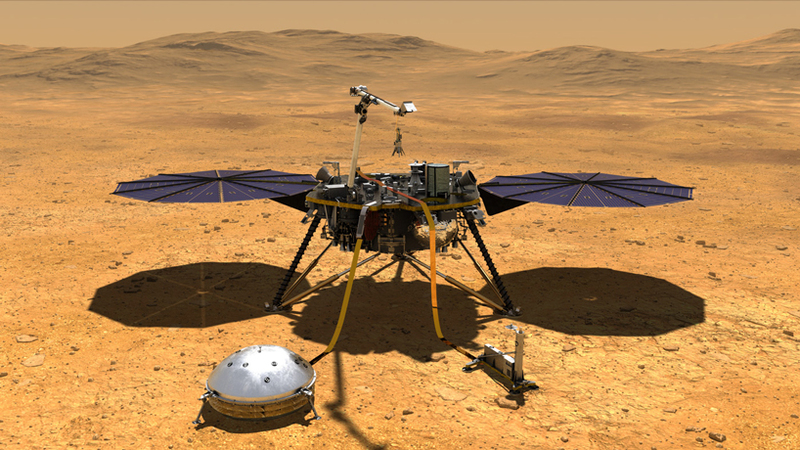 insight’s design uses a combination of technologies inherited from past NASA mars missions such as the phoenix lander, which successfully landed near mars’ north pole in 2008. however, insight weighs much more and will have more mass when it enters the martian atmosphere than when phoenix did, which makes the landing more challenging pull off. to overcome this, engineers have applied a thicker heat shield and a parachute with suspension lines made from a stronger material. after successfully landing, insight will stretch 20 feet long powered by two 7-foot-wide solar arrays. 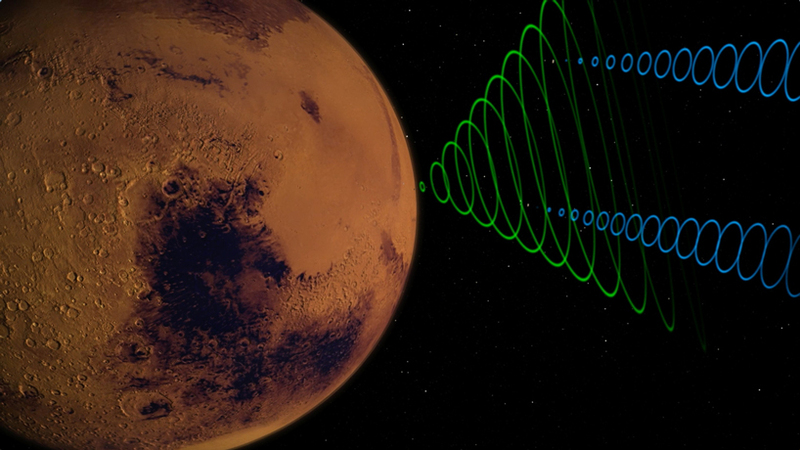 to measure marsquakes, the lander has antennas that can record the planet’s movements. 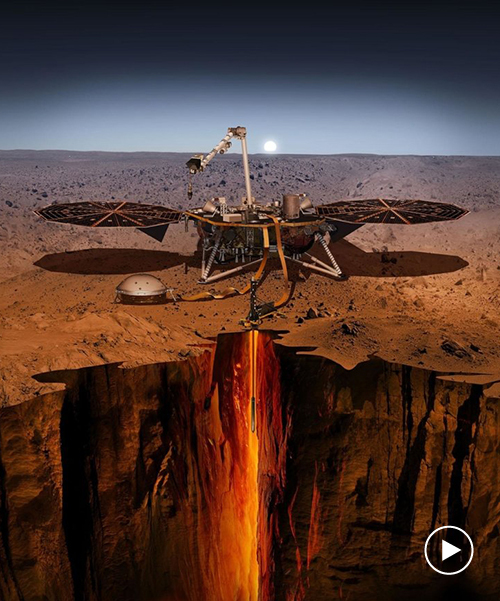 the lander will collect data on mars until at least november 2020 that will help scientists determine whether the planet’s core is solid or liquid, drawing comparisons between the mars and earth to learn if it could potentially support life. NASA has no plans to capture the entire landing but will know exactly when it has happened using radio signal technology. it will however, broadcast live commentary and updates, along with photos showing insight’s descent. you can watch the landing commentary live on NASA’s stream, starting around 2PM ET on monday.